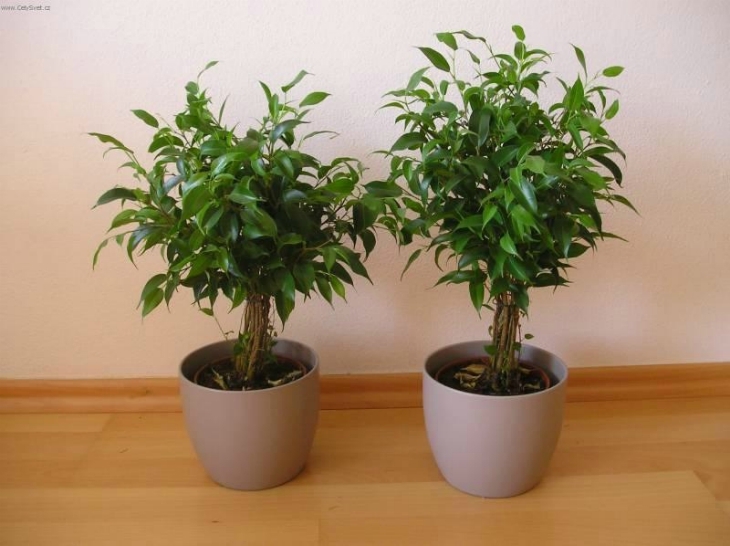 Ficus is very popular houseplant and extremely effective air-purifier. This low-maintenance, evergreen plant always has a tree-like form regardless of the size. 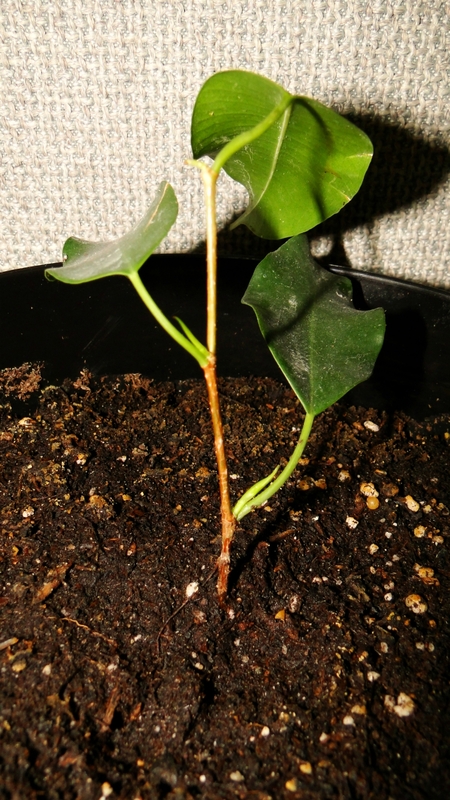 The leaves are growing densely and mostly have dark green colour. 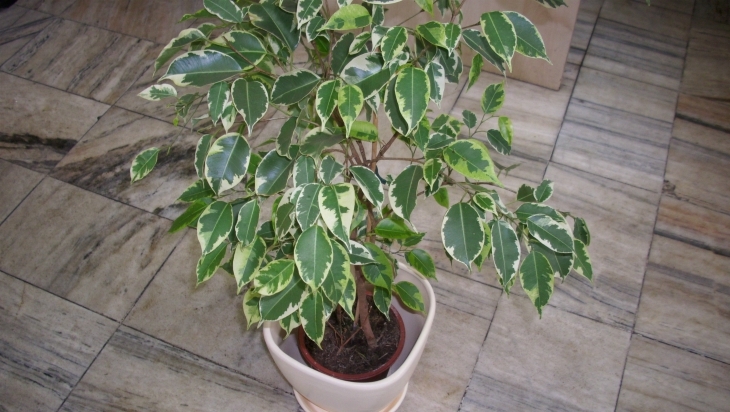 Ficus is native to warmer climates but can also thrive in cooler climates as an indoor plant. It can live very long and grow over 50 feet tall in its natural habitat. When grown inside though it will be significantly smaller. Be extra careful where to put it if you have pets, because it is poisonous to animals. Use this great tips and plant your own Ficus flower. Ficus can grow in all kind of habitats, from full sun to shade but it will really thrive in very hot and humid climate. If you plant it in a container you should occasionally turn it around to ensure more even growth. In the warmer months you can move the plant outside. If your Ficus plant is losing bottom leaves the reason could be that you moved it or there is a significant temperature change. 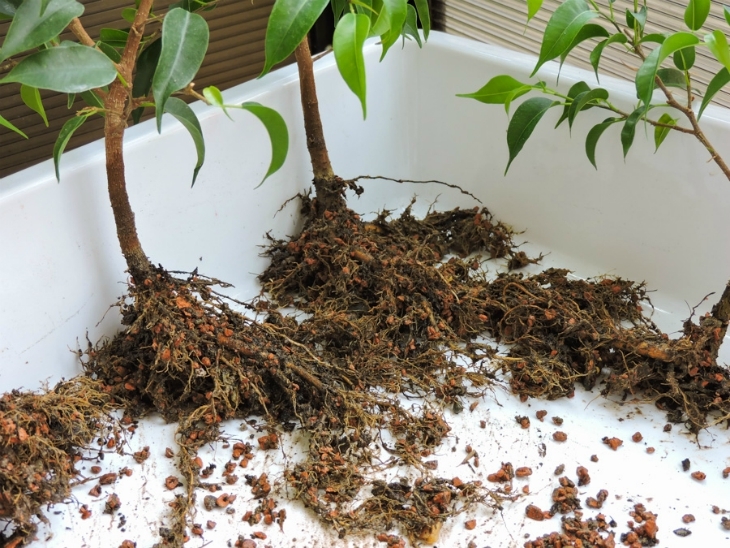 It is recommended to plant your ficus in high quality, soil-based potting mix but avoid using peat-based mix because it can cause problems for the roots. You should also use enough sand to ensure good drainage. You can test the quality of the soil by putting newly planted seedlings in front of a bright window and make sure not to move them for a few days. Choose a container that is not to big and place the cutting into the soil. 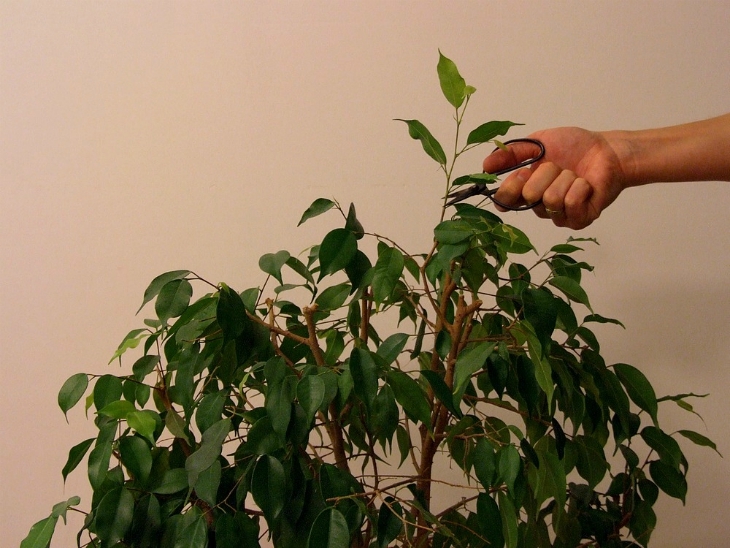 Hold the ficus cutting upright while covering the roots. Add enough soil for a stake to be about 12 inches deep into the ground. Water it thoroughly. You can also mix shredded leaves into the soil. Since Ficus plant is a fast grower make sure it will get enough nutrients. It would be great if you would fertilize the soil once a month during the growing season. That means spring and summer months and at least few times during autumn and winter. This will prevent the leaves to turn yellow. During the spring and summer, when the plant is in a growing phase, water it regularly, but don’t exaggerate. Ficus plants like high humidity but they don’t like to be over-watered. That can cause the leaves to curl or turn brown. Before watering, first check if the top of the soil is dry, otherwise don’t water it yet. It is better to always use room-temperature water. 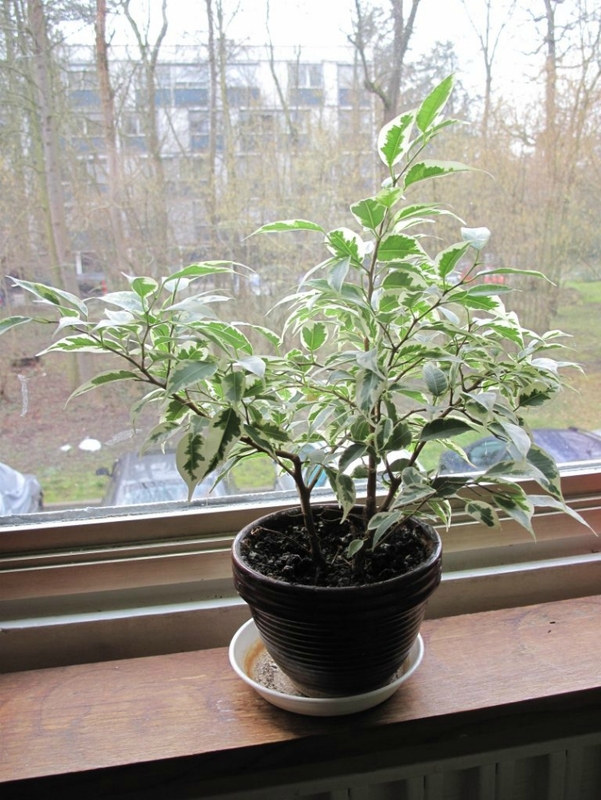 Ficus grows fastest in bright and warm location with indirect sunlight. Especially newly transplanted plant should be kept from direct sunlight at least until it’s more established and you notice some new growth at the top of the plant. That way you will prevent leaves from getting burned. Dry leaves normally indicate too much direct sunlight. 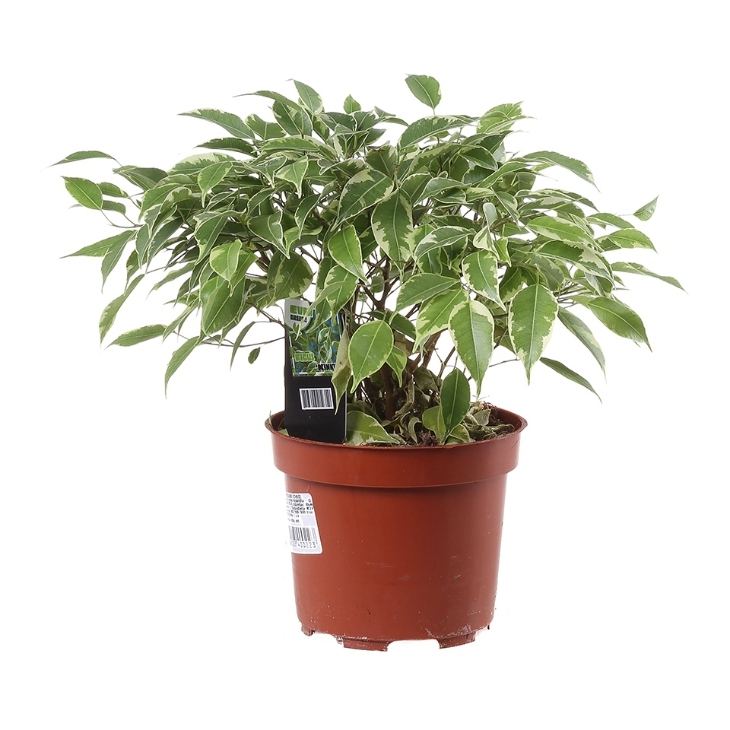 The best temperature for a Ficus plant to thrive well is between 65 and 75 F. If you have moved your pot outside for the summer be sure to bring it back inside before temperatures drop below 50 F. Ficus likes a little bit more humid environment. 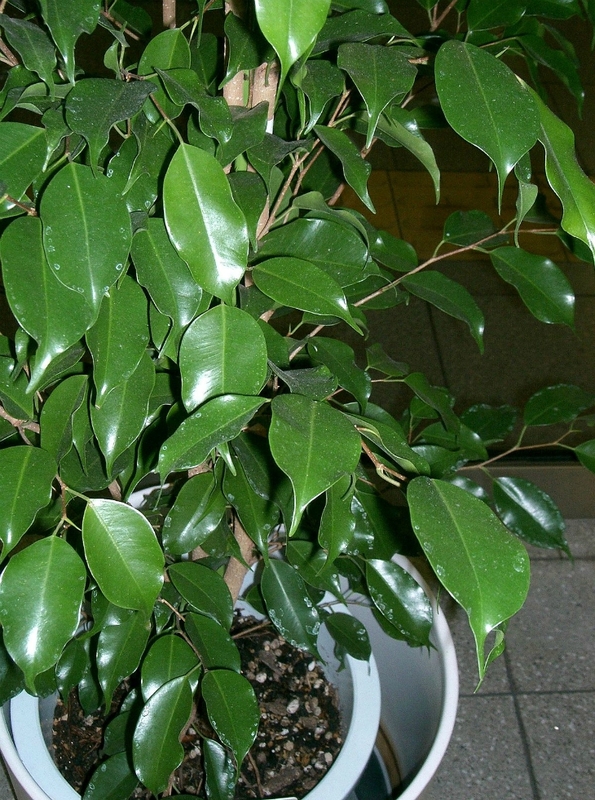 The ideal humidity for the Ficus is between 50 and 70 percent. If it is to dry it will drop it’s leaves. It also doesn’t like draft so don’t put it near vents, heaters etc. The most easy way to grow a new Ficus is to use a cutting from an established plant. Choose a healthy plant and take cutting which is not to young or to old and it is at least 6 inches long. Submerge the steam into a glass of water but leave leaves above it. Put the glass where it can get as much light as possible. Ficus is very easy to grow plant. It is also an invasive type able to adapt to almost any situation. It prefers though, not to be moved around to much. The indoor plant normally spreads around 1.5 feet every year. 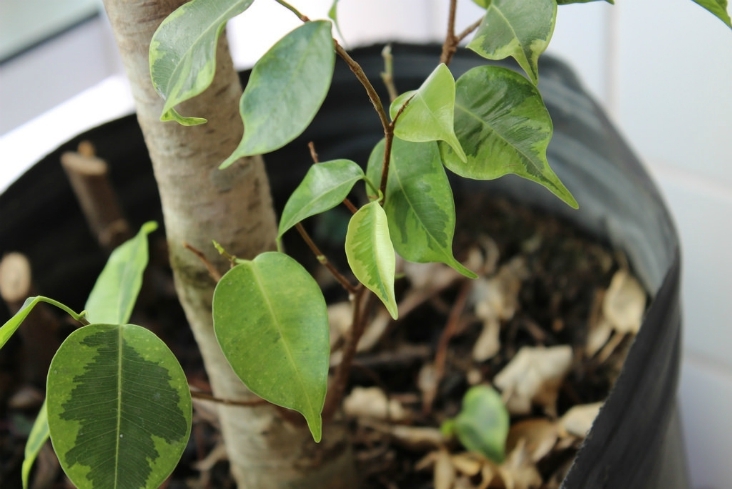 To take growth under control you can prune your Ficus every spring and fall. 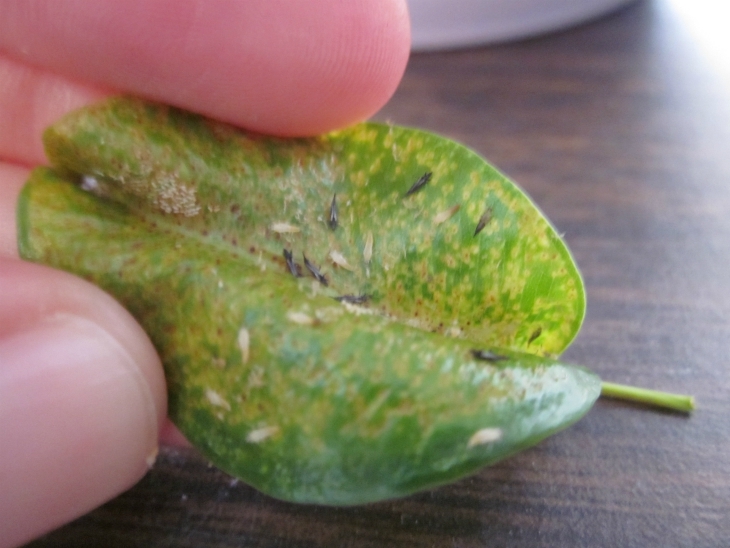 The pests most common for Ficus are scale, mealybugs, and spider mites. The victims are normally plants that are exposed to certain kind of stress. The sign of infestation can be leaves dropping. You can use Neem oil to take care for all of those problems.